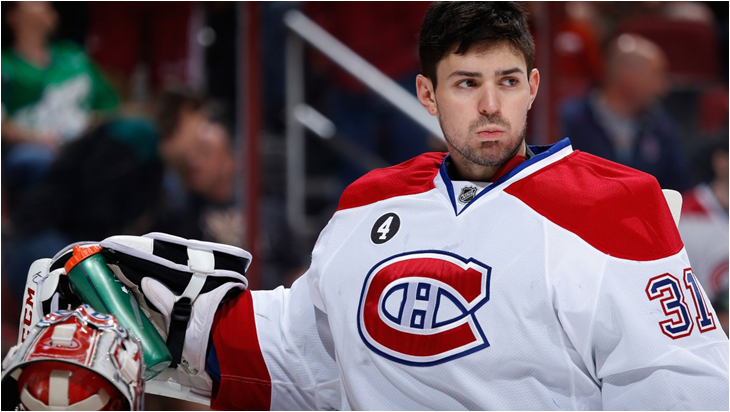 Montreal Canadiens goalie Carey Price has joined an especially exclusive NHL club. He is one of only four goalies to win the Hart Trophy (NHL Season MVP) and Vezina Trophy (Best Goalie of Season) in the same year. Buffalo Sabres netter Dominik Hasek did it back to back in the late 1990’s. The other two goalies are Canadiens Jacques Plante and Jose Theodore. The Hart Trophy was first awarded following the 1923-24 season; the Vezina Trophy after the 1926-27 season. So, in 88 seasons (since 1926-27 and not including 2004-05) only five times has a goalie achieved the Hart-Vezina double. By the way, only seven goalies ever won the NHL MVP in the first place! Who are the other three? Answer here.